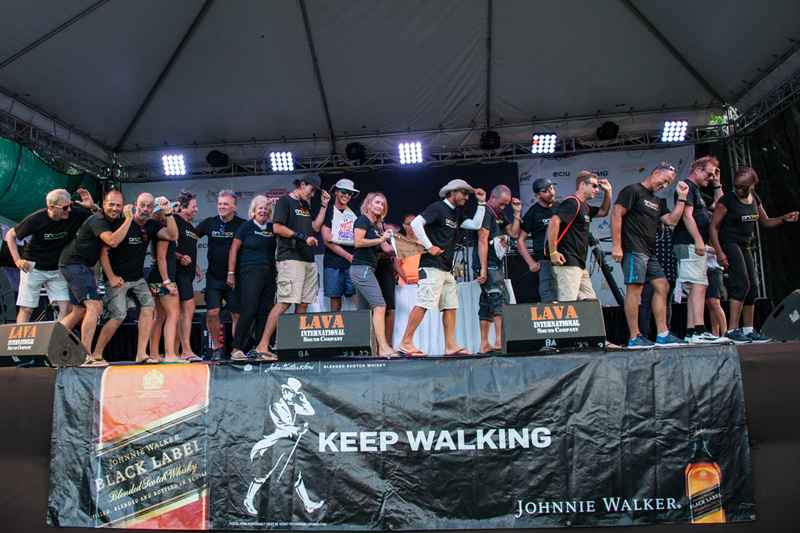 Johnnie Walker Race Day marked the penultimate day of racing at Antigua Sailing Week. After thunder and lightning, ominous skies and squally conditions were forecast for the morning, racing was postponed for two hours before the international fleet of well over 100 teams set out for racing. Across the 13 classes competing, leaders are emerging, and with the likelihood of just one race tomorrow, several classes are all but decided. Peter Harrison’s British superyacht Sojana and Jonty and Vicky Layfield’s Antiguan Swan 48 Sleeper X, remain unbeaten. 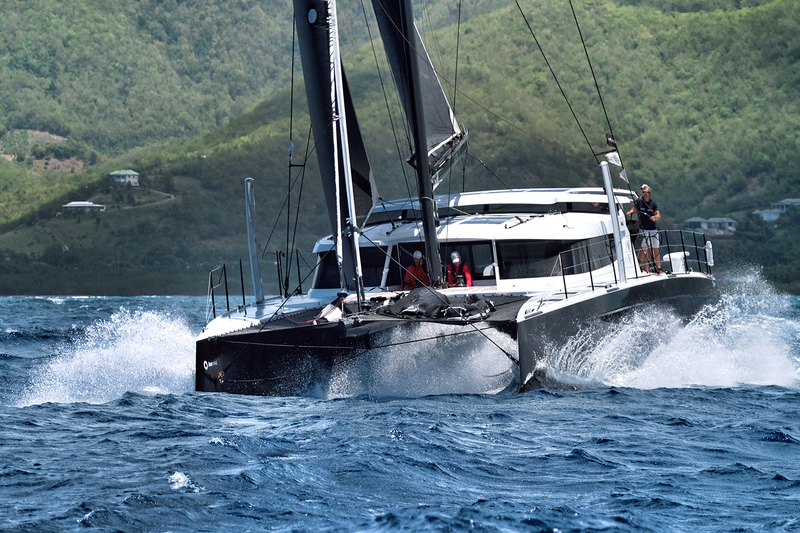 In the Multihull Class, Robert Szustkowski’s Polish HH66 R-SIX has been on impressive form, scoring three bullets and taking line honours in every race. 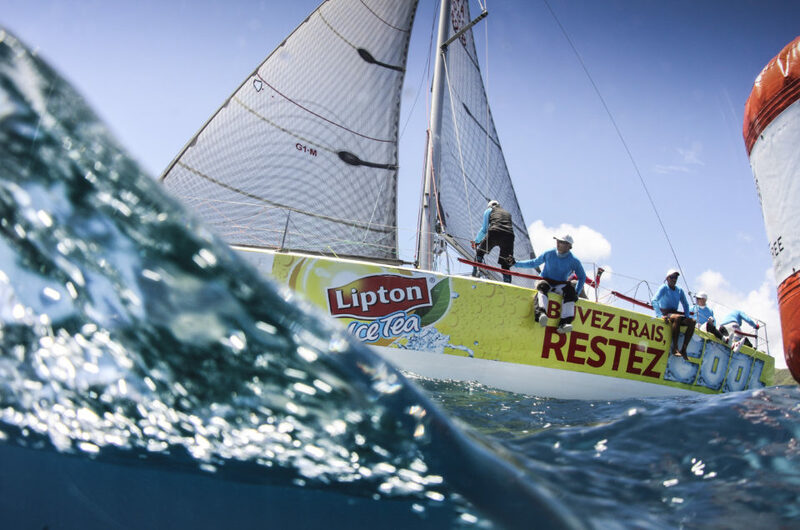 Besides racing one of the world’s fastest ocean-going multihulls, Robert also enjoys motor racing and has taken part in multiple Trans-Siberian and Paris-Dakar Rallies. Robert Szustkowski, founder of the Orimari R-Six Foundation has kindly donated laptop computers and IT department equipment to Cobbs Cross Primary school in Antigua as a show of his appreciation to Antigua Sailing Week. In the three bareboat classes, 26 teams are racing at Antigua Sailing Week. Alexander Pfeiffer’s KH+P La Bella Vita has an unpassable lead in Bareboat 1, as does Francois Kunz’s KH+P Anguilla in Bareboat 2. Congratulations should also go to Rainer Kamrath’s Vanuatu, which won today. Bareboat 3 is going to the wire. Nicole Lameter’s all-female team racing KH+P Nardis and Cannon & Harvey’s KHS&S Contractors will contest a final decider tomorrow for the class title. The turbo-charged American Volvo 70 Warrior, sailed by Stephen Murray Jr, has all but won CSA 1, after scoring their fifth bullet today. OnDeck’s Antiguan Farr 65 Spirit of Juno, has all but wrapped up CSA 3. CSA 4 will go to the wire tomorrow. Bernie Evan-Wong’s Antiguan RP37 TAZ holds a single point advantage from Mark Chapman’s Trinidadian team racing one-off Dingo, which won today’s race, less than a minute ahead of Richard Matthew’s British HH42 Power of Love. Jean Michel Figueres’ Farr40 Perseverare Diabolicum could only manage fifth in today’s race, but remains in third place for the series. CSA 6 is producing a photo-finish; Frank Loubaresse’s French Sunfast 3600 TwinL Jaws 2 is just half a point ahead of Carlo Falcone’s Antiguan flagged Caccia Alla Volpe which won today’s race. Peter McWhinnie’s American JPK 1080 Leon is in third place. The National Sailing Academy’s Cork 1720 Spirit, skippered by teenager Jules Mitchell looks unstoppable in CSA 7, after scoring their fifth bullet of the regatta. However, the biggest cheer at the daily prize giving was reserved for another teenage team. 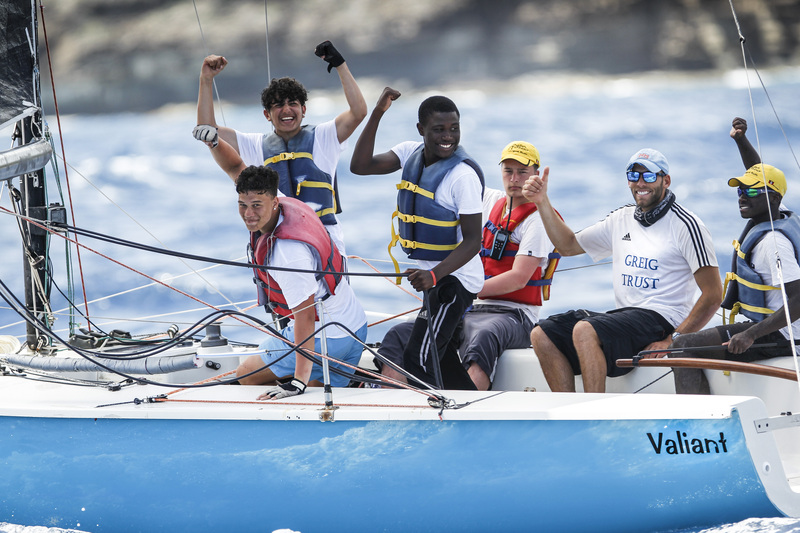 The Greig City Academy from North London, racing the National Sailing Academy’s Cork 1720 Valiant, skippered by Seun Williams was second today and received a massive welcome to the stage in Nelson’s Dockyard. Robbie Ferron, racing the modified Six Meter Biwi Magic, scored his third bullet today to take the lead in CSA 8 by a single point from Geoffrey Pidduck’s Bavaria 44 Minerva. In the Club Class, Grahame Williams, Commodore of the Jolly Harbour Yacht Club, racing Bavaria 42 Full Monty has scored three race wins, but a retirement in the first race of the regatta has pegged back the team into second place. Jonathan Constantine’s Feeling 39, Imagine Of Falmouth leads by a single point going into tomorrow’s decider. 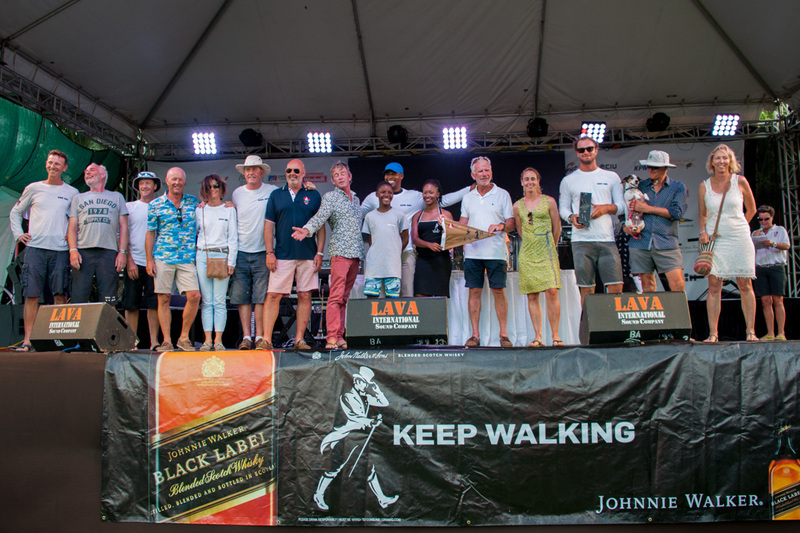 The Johnnie Walker Race Day Prize Giving was held in Nelson’s Dockyard following racing and Amy and Layla, collectively known as the Marshians played into the evening on the main stage, with the Copper and Lumber Store historic Inn providing fine dining in the form of Seafood Thursday. 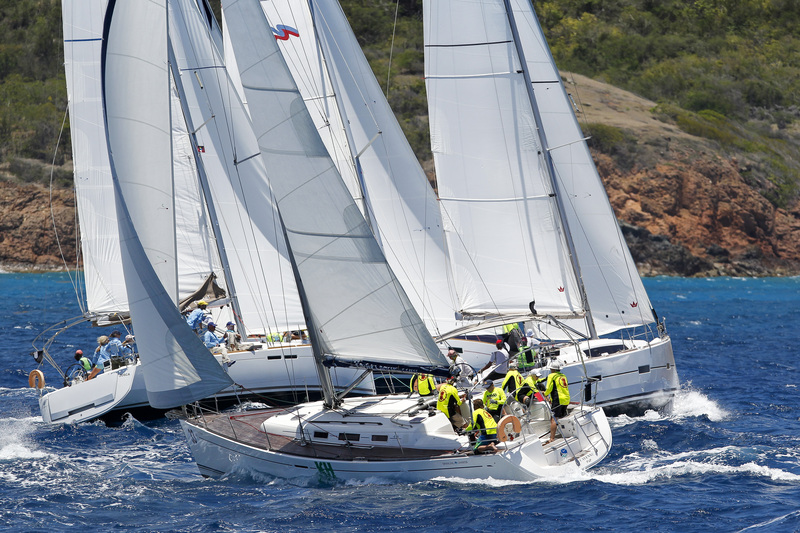 Tomorrow, Friday 4th of May will be the last day of racing at the 51st Antigua Sailing Week.